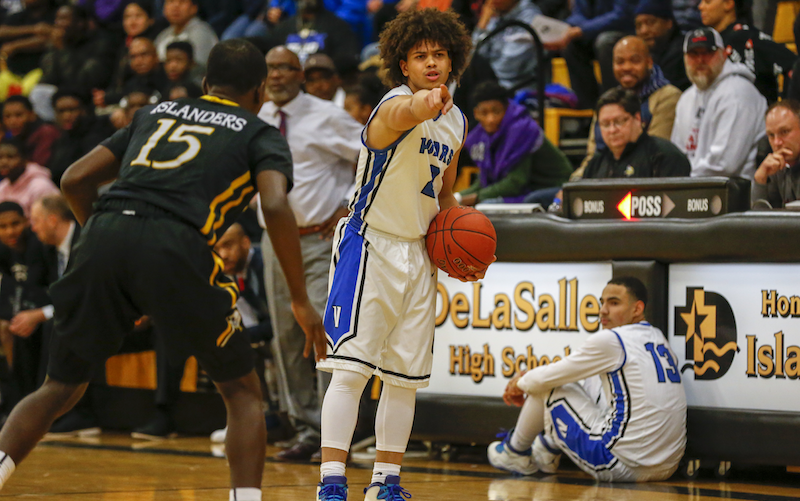 Forty of the state's top senior boys' basketball players are set to hit the court this weekend, and one may come home with some important hardware. The 37th annual Minnesota High School All-Star Basketball Series, organized by the Minnesota Basketball Coaches Association, takes place March 29-30, and players expected to be there include 2019 Bob McDonald Award semifinalists Eli Campbell of Minneapolis North and Bennett Otto from Champlin Park, along with award finalists Matthew Hurt of Rochester John Marshall and Springfield's Issac Fink. Sponsored by the MBCA, the McDonald Award is given to Minnesota's top senior player and the winner will be announced at a ceremony between Saturday's games at the Leonard Center on the campus of Macalester College in St. Paul. The event begins Friday with a doubleheader at St. Cloud State's Halenbeck Hall and also includes halftime three-point shooting contests on both days. Tickets are $8 for adults and $6 for senior citizens and students, and are available at the door. Admission for children 5 years old and younger is free. Event schedules and rosters are below. Team Blue vs. Team Green, 7 p.m. Team Gold vs. Team Maroon, 8:30 p.m.
TBD vs. TBD, 1:30 p.m.
TBD vs. TBD, 3 p.m.